Wow that is one beautiful cake. I love plums but never cook with them. You’re photos are amazing! 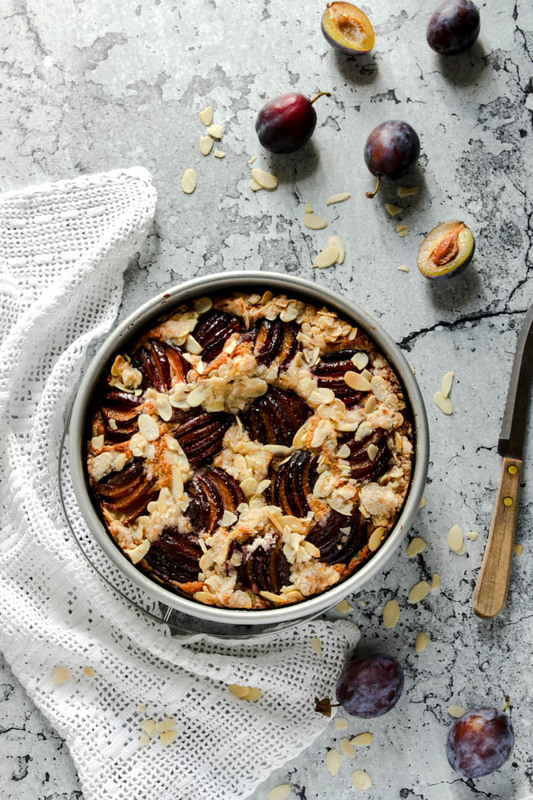 Thanks Julie, plums are a wonderful fruit to bake with and holds its shape quite well when baked! One of my favourite Fall fruits! Thanks Teresa! I too love simple fruity cakes such as this one. Its a perfect teatime dessert! Loved this cake since I first saw it! Rustic, simple, delicious, with seasonal fruit, just how I it. 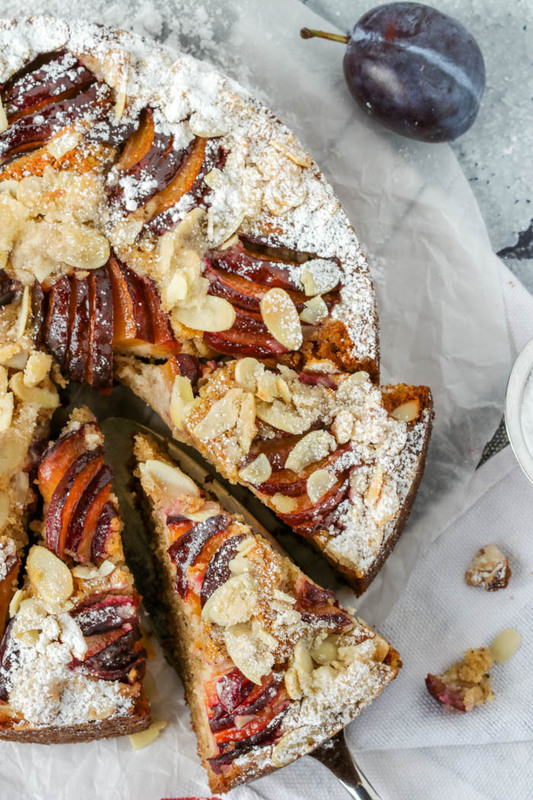 That streusel topping must be optional, but I bet it’s super good in every bite 😉 . Yes the streusel topping really elevates this simple cake and adds another layer of textures! Perfect for any occasion. Thanks so much! Marisa, this is just LOVELY! The recipe sounds incredible and cozy, and your photography for this post is really beautiful. Thank you for sharing! Hi! Thank you for your lovely comment…this cake is truly a delight to cozy up too with your favourite hot beverage. Capo lavoro Marisa! 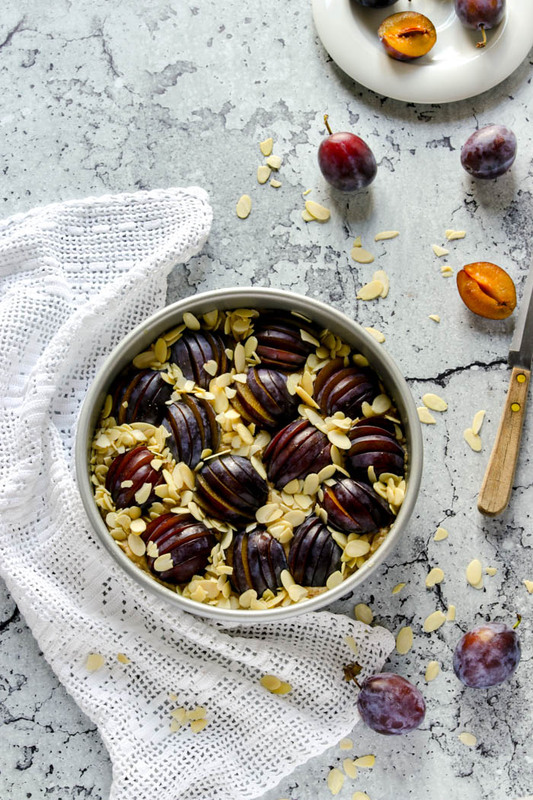 We still have some of these plums at the local market, so it isn’t too late to prepare this beautiful dolce. Grazie Bella…that’s so kind of you! 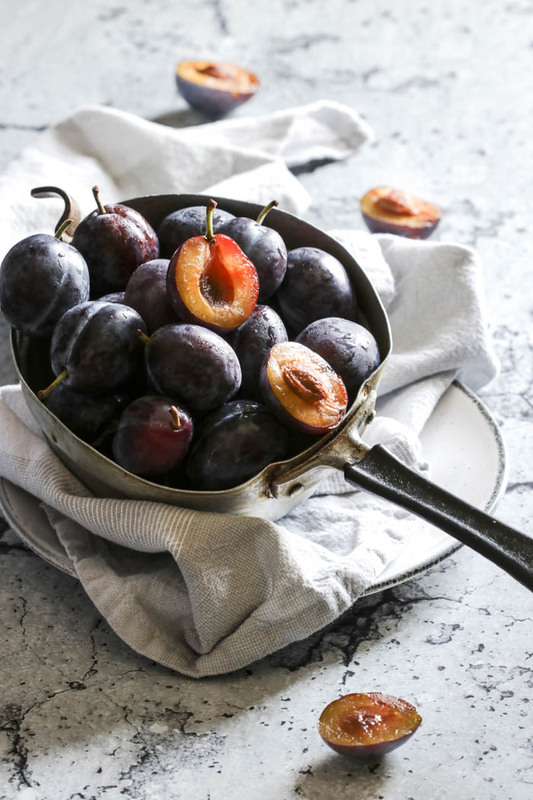 I too am still seeing these yummy plums at local grocery stores and nearby markets…they’re my favourite and also they hold up so well to baking. Hope you get to try it! 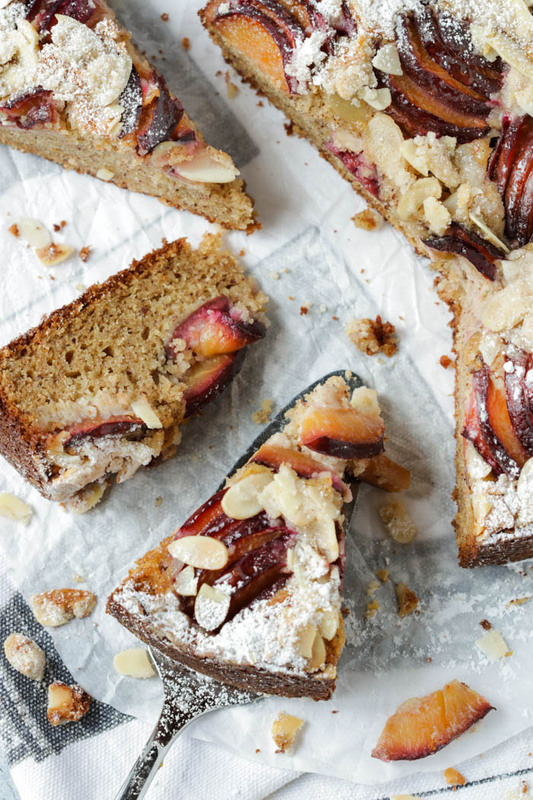 I can’t get enough of these Italian plum coffee cakes. I want to try your version. It looks delicious. A simple but gorgeous cake! Pinning to try. It really is quite simple and yet perfect for any special occasion. Thanks Colleen! My gosh, this is simply a stunning cake! Rustic cakes like this are my favourite. I would definitely be reaching for a slice at breakfast, then again with my afternoon tea! Hubby and I did just that and to the last crumb! Thanks Nicole.